Brand identity and research drove our iterative design process for this sustainable hot yoga studio in Portland, Oregon. Utilizing the logo for the franchise and drawing inspiration for the movement and flow of yoga poses lead to the curvilinear pattern of the 75′ long feature wall installation. The wall is multi-functional, acting as signage and identity for the studio, while offering functional elements like retail display, seating, the front reception area, and vertical gardens. The studio is based on an ethos of sustainability and this came through in the design in a variety of ways. We specified sustainably harvested and locally sourced wood where available. Low flow fixtures were used in the locker rooms. 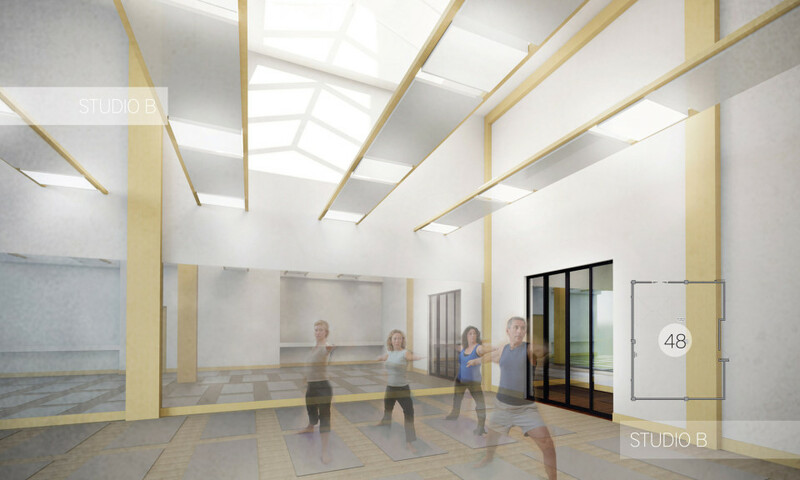 Spray foam insulations surrounds each hot yoga studio where radiant heating panels heat the people rather than the air. Energy efficient lighting was used throughout the space, while also making use of daylight through the storefront windows wherever possible. 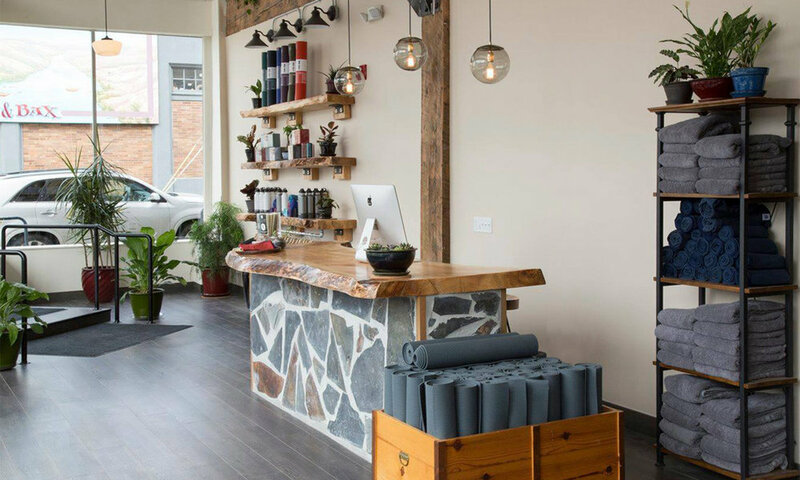 The yoga studio also has social sustainability in mind, offering discounted classes and volunteer opportunities in exchange for classes, for those who can’t afford to pay. Furthermore, they offer discounts and special classes to the residents of the low income housing in the building above the studio.